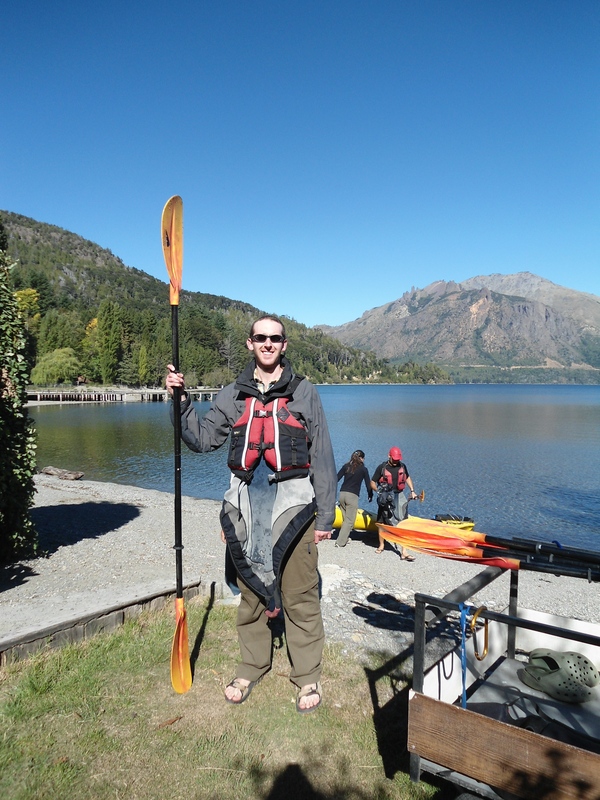 Seeing as Bariloche seems quite a pricey place too and we´d spent more money than we should, we did like any good Saumarez / Hopkinson and…spend more. We went out for an amazing meal where James tried Patagonian lamb right from the open fire in the restaurant and I tried the trout straight from the lake. All was delicious. Anyway, we then decided to hop along to El Bolson, a little town just south of Barioche and at 2 hours, it´s been our shortest bus journey yet! 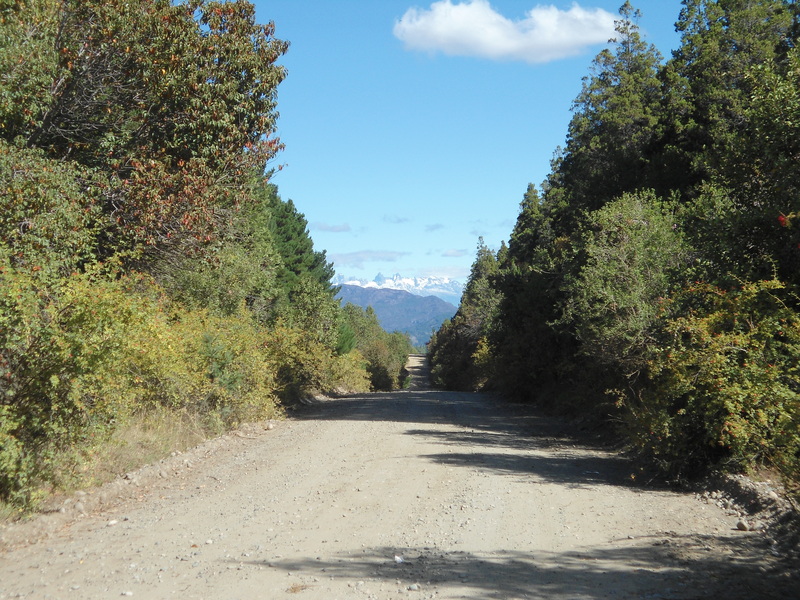 On arrival, we felt like we´d travelled a million miles from the alpine, organised and touristy town of Bariloche, to enter this dusty, relaxed, hippy town. And we´ve certainly made the most of it, having done very little since our arrival! We´ve been around the market (about 4 times – it´s full of amazing artesanal bits and pieces that I´m desperately trying not to buy to clutter up the flat even more! ), eaten about half a cow and tasted the most incredible thing to have ever passed my lips. Ever. People: make a waffle. Cover it in dulce de leche (or boiled condensed milk, ie caramel – preferably with an enormous glue gun if you have one to hand). Put a hefty handful of chopped fresh strawberries on top. Squirt fresh, slightly sweetened, whipped cream all over. And voila. Heaven. In fact we dropped the new camera into the cream such was the delicousness of this sweet delight! But after all the food we´ve eatern, we thought it was probably time to do a bit of walking (I´m sure you can imagine what all this is doing to our waists!). There was an early snowfall in the mountains yesterday and yet the sun was shining so we headed up to a waterfall nearby. As people were collecting nuts from the ground to sell at the market and their children ran through the fruit fields, it felt as if we were in an Alpen advert. 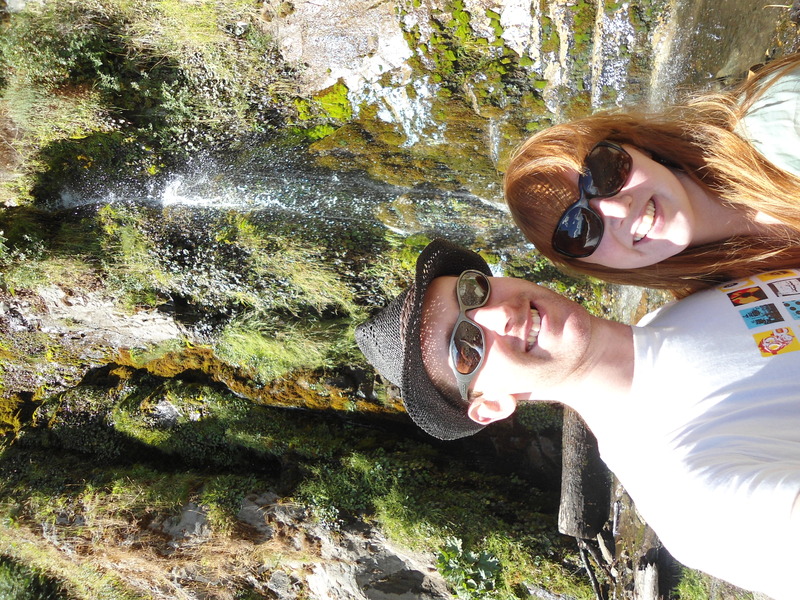 It was, needless to say, absolutely gorgeous and we ate some leftover potato salad under the cascadas! Heaven! So here we are, just trying to upload some pictures (about 7 done – 150 to go!?) and admiring the pics of little Edward Stuart Wilson who was born this morning (well done Laura!! wish was there to give you and him a kiss!) before heading to get some more waffles and our night bus this evening to Puerto Madryn. Hope all is well in sunny England – James informs me from twitter that spring has arrived so enjoy it and we´ll check in again soon! Great to see some more photos – you’re both looking incredibly relaxed and healthy – must be the walking not the eating. Keep on blogging. James, I’ve been in the back of a kayak with Claire and I did a fair amount of oar-digging-in… She also spun me the line about trust… Claire, perhaps this is not so much a trust issue and more a simple lack of steering! Maybe?! 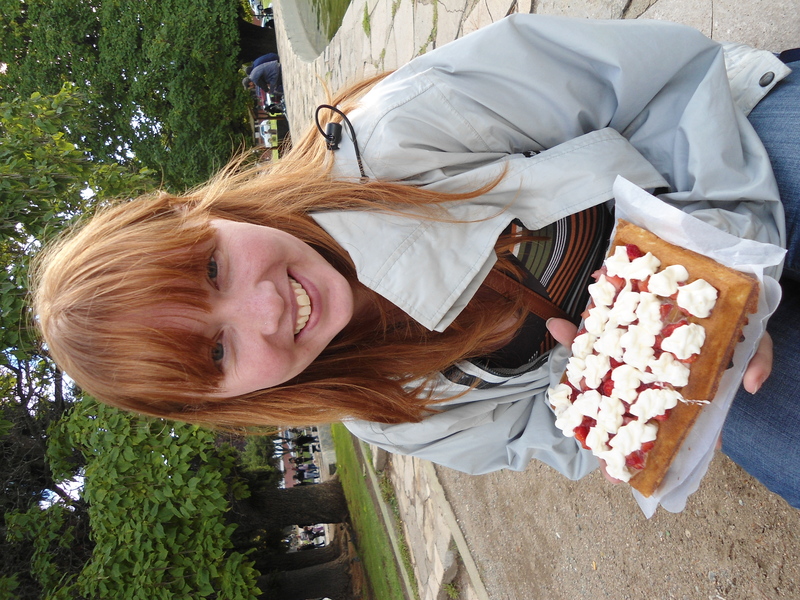 I LOVE that photo of the waffle, you look so gleeful sis! I want one! It sounds like you really are in a heavenly part of the world, it’s great to read all about it. Take care you two, lots of love. Hey James! No idea how far ahead/behind you are but just wanted to be one of the first to wish you a very very happy birthday tomorrow! Thoroughly enjoying your blog/pictures – v jealous! Hi Rhiannon, thanks for the birthday wishes. Obviously I will bring in belated birthday snacks on my first day back!! As I’m sure you can imagine, things are pretty tough out here-I spent my birthday watching killer whales and then eating far too much argentinian steak. Hope that answers some of your questions. Good luck on your travels.